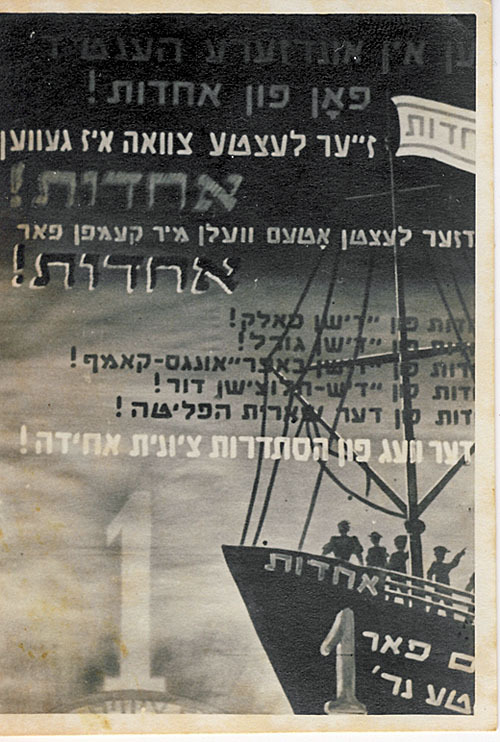 Election poster in the Bergen-Belsen displaced persons' camp decorated with the motif of an immigration ship bound for Palestine for the United Zionist party. Curator's note: This poster appears to be a remix of a poster by Otte Wallish Here We Are! We Are Making Aliyah!